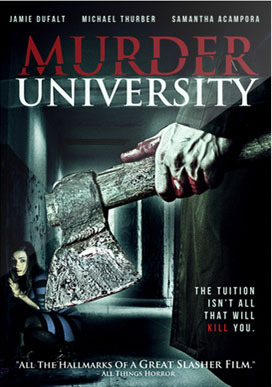 A small New England college is plagued by a series of brutal, cult-like murders that share a similar pattern of killings some twenty years earlier. The lone survivor of a recent attack must team up with a veteran police detective and his daughter in order to uncover the secret behind the killings, revealing a legacy of murder and the occult that has been kept buried for decades on campus. EXTRAS: Commentary, Behind the Scenes Featurette, Trailers.